We all know very well that the tech giant Google has kept several payment systems alive till to the date and has now brought them all together under one brand and one name: Google Pay, the tech giant Google’s new payment service which has combined all its old payment services under one. The tech giant Google has kept several payment systems alive till to the date and has now brought them all together under one brand and one name: Google Pay, the tech giant Google’s new payment service which has combined all its old payment services under one. We completely forgot the tech giant Google’s Google Wallet and the most recent Android Pay, as from now all these services will simply come under the one brand or name, as we already mentioned earlier, which will be known as Google Pay. However, at least for the moment, it absolutely changes nothing. 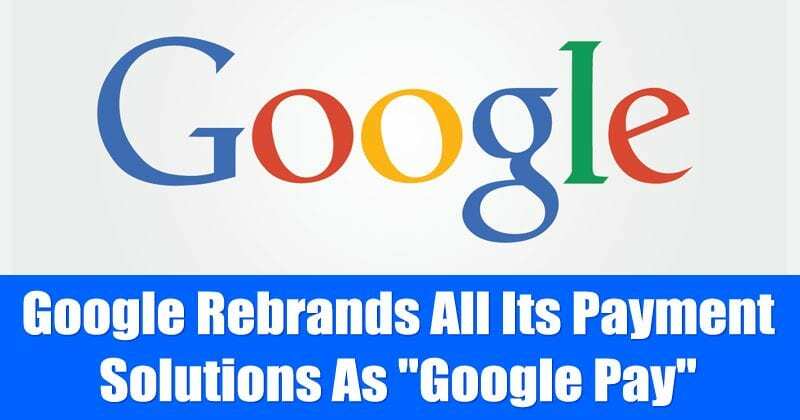 From the tech giant Google side, they have announced the release of its Google Pay brand that now includes all its electronic payment services, and thereby also announces the death of Google Wallet and Android Pay. It is simply a name change, but also a simplification, and evidently the first step to further develop its electronic payment products. Now, with the same Google account we will have all the payment information available for use in online purchases with the Google Chrome web browser, on YouTube – Red, on the products it is available on, in the Google Play Store to buy apps and at points of sale for NFC payments. So, once again, the Mountain View company, of course, the tech giant Google simplified its products and services. From now on, where before we paid with Android Pay, we will start doing it with Google Pay the new payment service of the tech giant Google, and we will find its corresponding logo with the signature ‘G’. We can use the same banking data, accounts and cards, to pay on mobile devices at points of sale with NFC, to buy apps, and also for any online purchase using the tech giant Googel’s well-known and most used web browser,of course, the Google Chrome on computers and mobile devices. It does not change anything at all, for the moment, and little by little the apps will have to adapt. The outlets where Android Pay was available are still available, and are already compatible, with Google Pay. The apps will continue paying the same, and the support of third-party services remains identical. Of course, the data synchronization will be simpler, and we can control our information and payment methods more easily. If there will be other changes, at the moment it is unknown. So, what do you think about this new payment service of the tech giant Google? Simply share all your views and thoughts in the comment section below.